Sizzling Indian Recipes.....: Dogwood trees in bloom around Cary,North Carolina - An enticing colorful feast for the senses. Dogwood trees in bloom around Cary,North Carolina - An enticing colorful feast for the senses. Dogwood is North carolina's state flower. In Cary and Raleigh Dogwood trees are found abundantly, they display spectacular eye pleasing bloom in Spring, during summer they get covered with green leaves and the same green glow changes into shades of red/orange color in fall. No wonder Dogwood ( Cornus florida) is one of the most popular tree planted to beautify the landscapes. Floral beauty of Dogwood Trees can be enjoyed from end of February until mid of April. 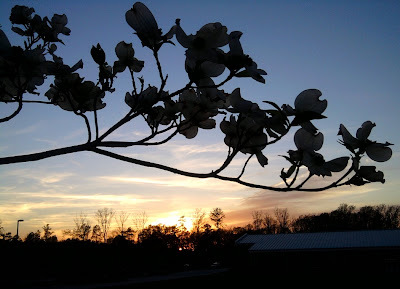 Enjoy the photographs of the Dogwood blossoms captured around my home in Cary. By end of the February Dogwood trees start getting flower buds. Dogwood plant buds captured at Sunset time during 1st week of March. This Dogwood flower has mix of white,yellow and pink shades. Dogwood flowers clicked around 8.00 am. Dogwoods beautiful green glow in summer. Dogwoods bright red appeal in Fall season. Fully bloomed dogwood tree with sun set background captured during 1st week of April. Anything that flowers is good ! @ Kumar, dogwood tree is beautiful creation of nature. Thanks for appreciating pictures. @ Dr.Antony, Thanks for stopping by. Thanks for feedback i added the year to blog archive Please check it and let me know. About 2nd problem page number feature i will go through it and will try to improve it. sm, Thanks...I checked date addition and it is perfect and now more ease to check old posts from realityviews. Page skip is fine..do it as it permits you..Thank you so much for all your efforts to keep us informed via realityviews.